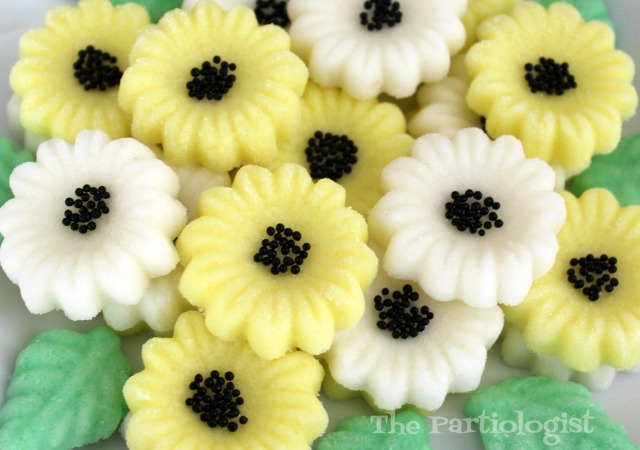 The Partiologist: Daisy Cream Cheese Mints! Cream cheese mints aren't just for weddings anymore. Wait, what? They haven't been used for weddings in years? No more church basement receptions with cake, mixed nuts and mints? Listen people, you don't know what you're missing. 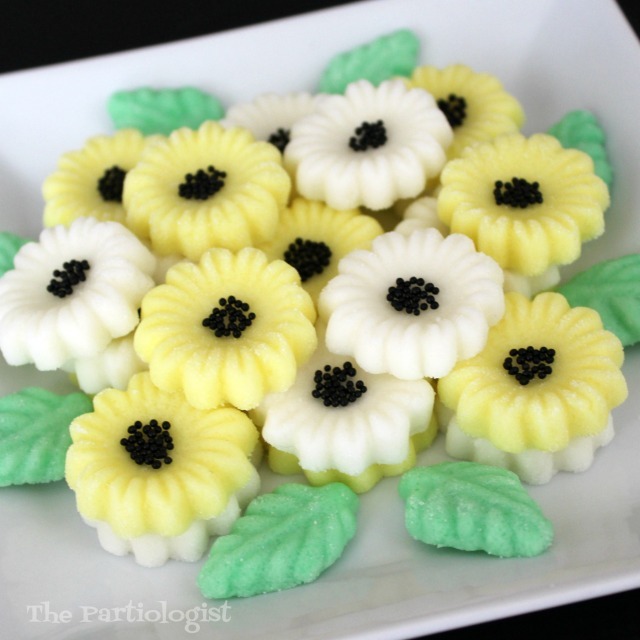 I had daisy mints for my wedding and I made every last one. Complete with yellow centers. This time around I decided to make them a little more modern. And easier. I'm telling you, what's old is new again. And perfect for the Sweet Sixteen Birthday! 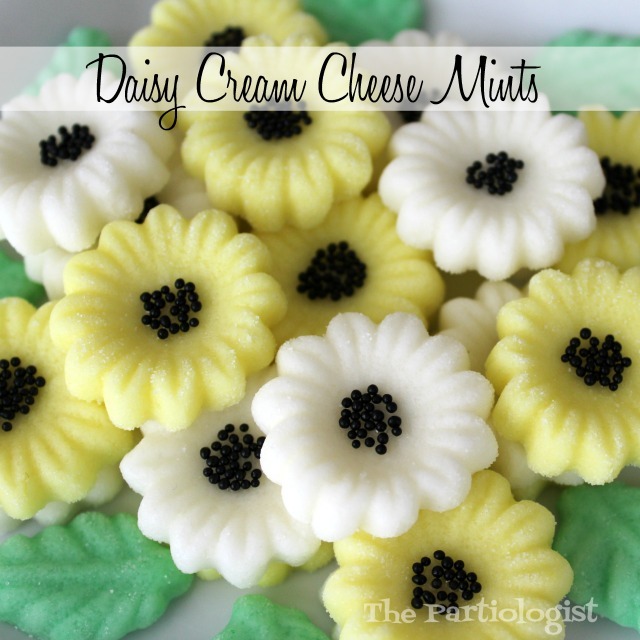 As in a plate of cream cheese daisy mints. You see what I did here, right? 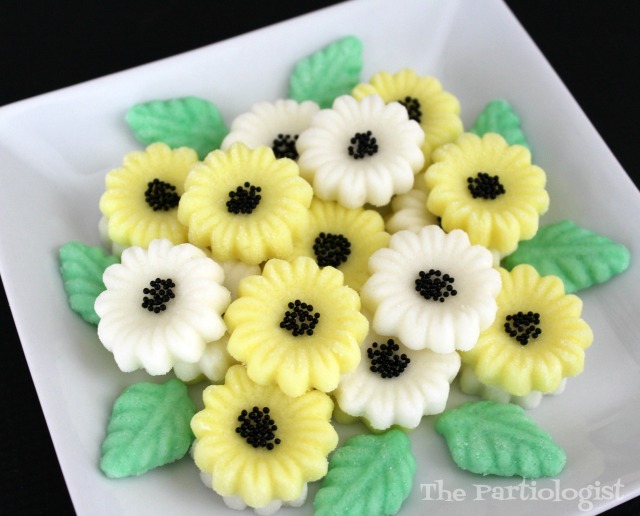 I really wanted to incorporate black into the daisy mints. By adding sprinkles to the center was the easiest way to do it! 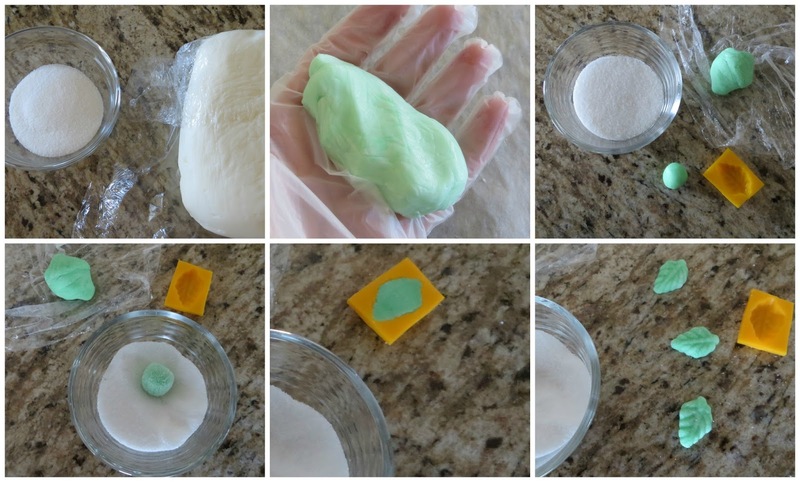 After mixing the cream cheese mint mixture, divide into thirds. Find Cream Cheese Mint Recipe HERE. Color 1/3 mint, 1/3 yellow and leave the other 1/3 white. Press each ball in leaf mold and press to fill mold. 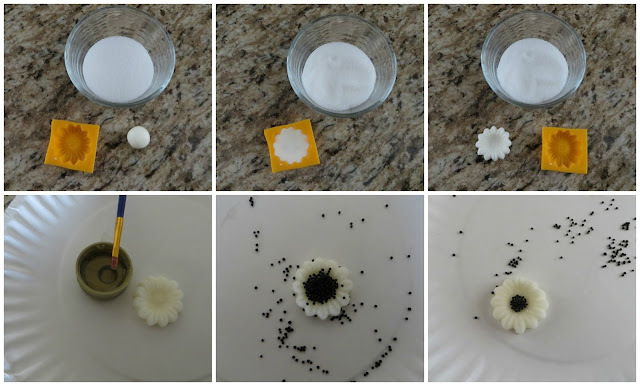 For the daisies, form into balls and roll in sugar. Press into daisy mold and remove. Paint the center with a small amount of Karo syrup. Immediately sprinkle with black dragees. Daisies are Mint to Be! I love these, sometimes and oldie is a goodie. These look fab, I think I'll try a batch as a hostess gift next time we go somewhere. Thanks, pinning. Thank you Julia, I agree sometime the oldies are the goodies !! You're so sweet, yes they are quite delicious! Thanks for the comment!